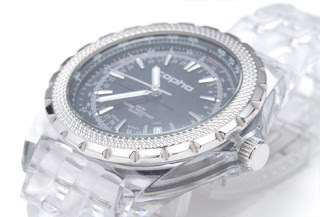 Most of their watches are powered by either Miyota quartz or Seiko quartz movement. These watches sell below the USD 200 price range. They also have watches powered by Swiss made Ronda movement. Those powered by the Ronda sell at about USD 450. I like the Plastic Fantastic range. The case is actually stainless steel encapsulated in transparent polycarbonate plastic. 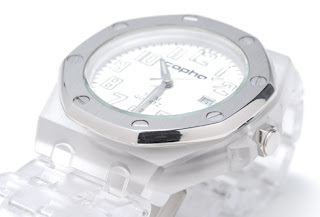 The strap is also made of transparent polycarbonate plastic with extension links. 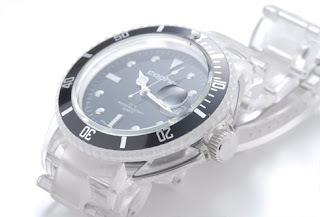 The crystal is mineral glass and the diver even offers a screw-down crown.